Stephen Wing is a long-time resident of Northern BC, having been born and raised in Fort Nelson, BC. 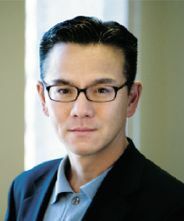 He graduated from Western University Law School (Ontario) in 1991 and became a lawyer in BC in 1994. Stephen’s practice focuses on real estate transactions, business law and Wills/Estates. When he is not in the office, Stephen enjoys endurance sports and activities and has completed numerous marathons and Ironman triathlons. 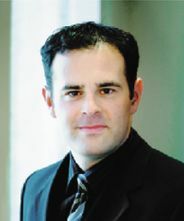 Cliff Shields was born and raised in Prince George and has been a lawyer since 2003. Cliff graduated from the University of Northern British Columbia (B.Sc.) and the University of British Columbia (LL.B. (Law)) and articled with a large national law firm in Vancouver before returning to Prince George. Cliff’s expertise includes real estate transactions and conveyancing, business law and Wills and estate planning, probate and administration. In the past, he has taught business law courses at the College of New Caledonia and his volunteer efforts currently including work with the Prince George Community Foundation. Outside of work, Cliff enjoys travelling, camping, hiking and fishing with family and friends in beautiful northern BC.